The common cold has no cure. Scientists have been trying for centuries to find the cure, which would undoubtedly make our lives easier. However, the common cold has nothing on these 10 infectious diseases. The diseases are, for lack of a better word, so viral that there is a high percentage chance that you will die from the complications. Some of these diseases have vaccinations, some have preventive measures while others are simply deadly with little chance of survival. To be included on this list, the virus has to have been a major cause of death in history with ranking based on fatality rates and impact worldwide. However, if a disease has been contained it will be lower on the list. A transmission electron micrograph (TEM) of smallpox virus particles. This variola virus had many forms and continues to be a required vaccination for many countries. Smallpox in its worse forms – hemorrhagic and flat – had the highest fatality rates with only a 10 percent or less chance of survival. Fortunately this disease has been the only one on this list to be completely eradicated from nature since it is only contagious through humans. 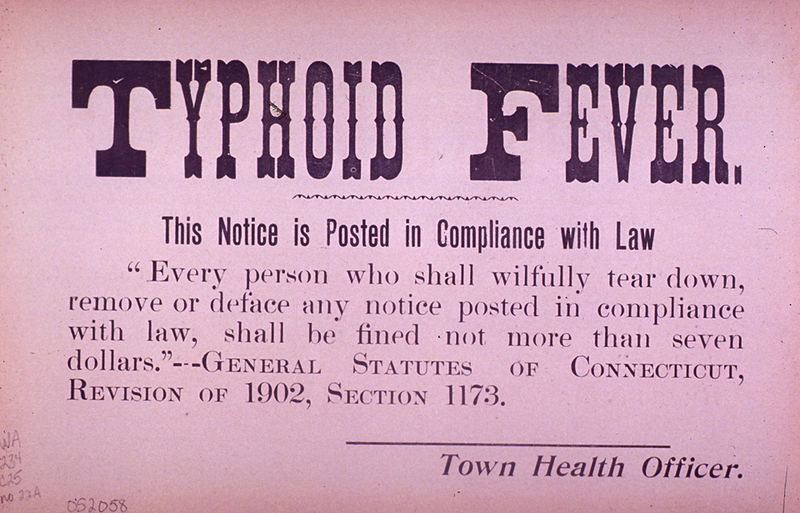 Perhaps one of the least lethal diseases on this list, the fatality rate of typhoid fever is only 10-30 percent. But the symptoms show up in stages over a period of three weeks and, in most cases, are not fatal. That said, the disease can stay dormant in a person who has overcome it and then be passed on to another person. The most famous case of this was the American cook in the early 1900s known as “Typhoid Mary” Mallon. Perhaps the scariest virus on this list is one that anyone anywhere can contract – influenza. Luckily, the flu is easily identified and in most countries easily combated. However, young children and the elderly are particularly susceptible to flu. And the most famous strain was the Spanish Flu, which was estimated to have killed 2-5 percent of the human population in 1918-1919. Thankfully that strain has never been seen again; however, the flu virus is famous for mutating from animals to humans. This plague is transmitted through infected fleas and kills about 70 percent of its victims in 4-7 days. The most well known epidemic was the Black Death in Medieval times when it was rumored to have killed about 25 million in Europe alone and another 50 million across the world. The bubonic plague is often characterized by swollen lymph nodes though the modern world has seen few breakouts. Normally a human gets cholera from eating or drinking infected food or water. And untreated, the disease will progress from massive diarrhea to shock in 4-12 hours and possibly death within 18 hours or several days. Luckily, with oral rehydration therapy, a person can survive from cholera; however, in its most severe form, cholera can kill within three hours. But good sanitation practices can curb an outbreak. As the old saying goes – don’t drink the water – in many underdeveloped countries. While anthrax has been used as a biological weapon before, a person dies from anthrax after inhalation of the spores or through eating or coming in contact with animals who have ingested the spores. Once contaminated, the bacteria quickly multiples and kills its host by producing two lethal toxins. Death can take from two days up to a month from the cold like symptoms, which then lead to serious breathing problems, shock and the eventual fatality. Large amounts of antibiotics have been shown to be able to stop the disease. A vaccine is known, then again there are also antibiotic-resistant strains of anthrax. This vector-borne infectious disease still has outbreaks of more than 500 million per year with anywhere between 1-3 million deaths when not treated properly. Fortunately with treatment, a person with malaria can expect a full recovery though like many of the diseases on this list, there is no vaccine. However, it has been noted that the deaths caused by Malaria occur on average about one every 30 seconds. 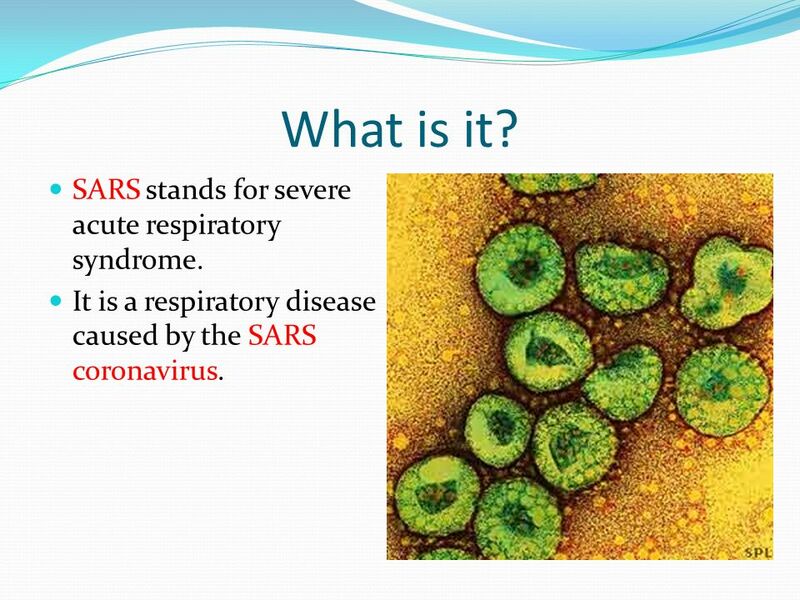 Severe acute respiratory syndrome (SARS) has seen only one major outbreak in Asia a few years ago. In most cases, the disease in its viral pneumonia form has a fatality rate of about 70 percent with the highest fatality rate among victims over the age of 65. Supposedly the Chinese government created a vaccine that was effective in about two-thirds of the test groups; however, outside of that many of the treatments have proven to cause just as many problems as SARS itself. What doesn’t cure you, will kill you? A discovery in the last 30 years, this strain of viruses has a fatality rate between 50-89 percent. Known to be devastating to both humans and animals, Ebola will kill a person within a week to two weeks usually from multiple organ failure or hypovelmic shock. A Canadian company recently reported that they have created a vaccine that is effective in 99 percent of the test cases of monkeys. Unfortunately, no vaccine or treatment has been approved for humans at this time. Human immunodeficiency virus (HIV) leads to acquired immune deficiency syndrome (AIDS), which cripples a human’s immune system. AIDS has been categorized as an epidemic by the CDC and the life expectancy has been extended despite the lack of a vaccination or cure. While on its own, the Ebola virus is much more deadly in the short term, most AIDS victims eventually succumb to death from an AIDS related sickness. How would we reproduce than? Do you want human life to become extinct? The have been two viruses that have been wiped out, Smallpox and Rinderpest. And the “Spanish Flu” made a reappearance a few years ago but was more commonly known as H1N1 or the Swine Flu. Those claiming small pox doesn’t exist anymore are incorrect. The US and Russian both still posses small pox and it’s possible others do as well. Given that it was weaponized by the former Soviet Union and those stockpiles are not entirely accounted for, the potential remains that we could see it again someday. Either in it’s natural form or as the recombinant chimera virus ebola-pox which was successfully engineered by Biopreparat scientists.